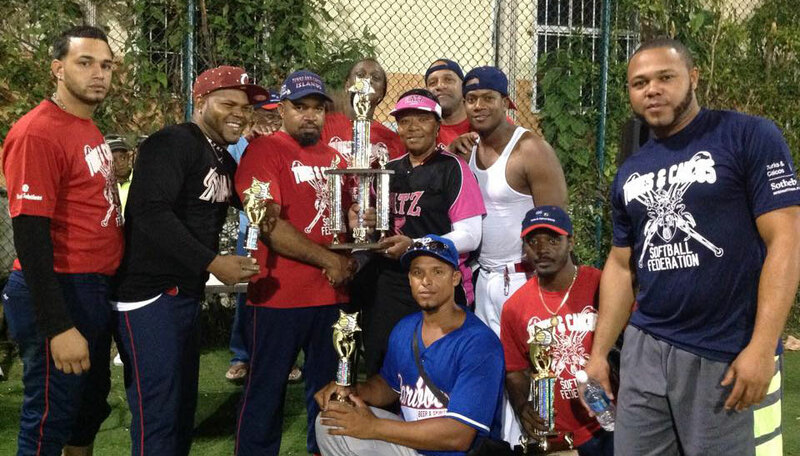 Turks and Caicos host Danny Delancy Slow Pitch Softball Championship - Federación de Softball de Puerto Rico, Inc. The Turks & Caicos Softball Federation hosted the Danny Delancy Softball Championship in honor of the island’s best local player over the National Hero’s Day holiday weekend. Grand Turk All-Star Men showed no mercy and dominated the Provo All-Star Men 11-2. Following the men, the Providenciales 2015 women champions, Lady Flyers, showed Grand Turks why they were number 1 in the league finishing off the game 13-3. But the best game of the night was the Co-ed where Providenciales scored 16 runs before the game was called due to rain. Grand Turk Female All-Star team put up a great fight against the Mervo Katz to win 12-10. Directly following, the Grand Turk All-Star Men continued their winning streak with a 7-3 score against the Provo All-Star Men. Meanwhile, the Provo Co-ed held firm and won over Grand Turk Co-ed team 10-2. On the final day of the tournament, the Lady Flyers defeated their arch enemy – the Mervo Katz – 16-2. This placed them number 1 in the tournament to advance them to the Championship against Grand Turk All-Stars. In the Championship game, the team played a spectacular game under the coaching of their captain, Ms. Santana Rigby, and was victorious over the Grand Turk Female All-Star 25-5. The Grand Turk All-Star Men faced the Provo All-Star Men for the championship. The Grand Turk All-Star team fell short and Provo won the Championship game 14-7.